Pairing speed with full color printing, the LaserJet Enterprise M553x Color Laser Printer from HP can dramatically increase your productivity. It has a print resolution of 1200 x 1200 dpi for detailed documents and can produce up to 40 pages per minute. Another element of speed is a first print out time of 6 seconds in black and 7 seconds in color. Also, this version features automatic duplex functionality for double-sided prints at a rate of 40 ipm. The M553x can handle documents as small as 3 x 5" and as large as 8.5 x 14" in the variety of paper trays available. This model features a total input capacity of 1200 sheets which can be expanded to a total of 2,300 sheets with optional trays. It also is durable with a monthly duty cycle of 80,000 pages and it features a 4.3" color LCD touchscreen for viewing print status and changing settings. Additionally, it has USB 2.0 connectivity along with Ethernet and Wi-Fi with NFC for wireless networking capabilities. Box Dimensions (LxWxH) 29.0 x 24.0 x 24.0"
LaserJet Enterprise M553x Color Laser Printer is rated 4.0 out of 5 by 5. Rated 4 out of 5 by Russ from Love the Printer - Hate their Software HP makes an awesome laser printer!? The colors are bright and crisp and the print quality is fantastic.? Past HP laser printers I've owned are durable and largely trouble free.? However, HP's software is another matter.? I had to call HP support to install and connect this printer to my router as it could not find the correct IP Address by itself.? Had to call a 2nd time to correctly configure it for the ePrint and establish a "Claim Code" which is unique to HP (this is a separate process).? I found the HP technicians to be competent and friendly so my printer is now correctly configured to my network. Rated 5 out of 5 by Tara from Best Printer I've Had I have owned my business for over 13 years and gone through a lot of printers.? This is by far the best printer I have ever purchased.? I have 4 trays on it, it prints beautifully and quickly, and it was a breeze to install.? Highly recommend, and worth every penny. Rated 5 out of 5 by Anonymous from LaserJet Enterprise M553x Color Laser Printer very great product and excellent service. 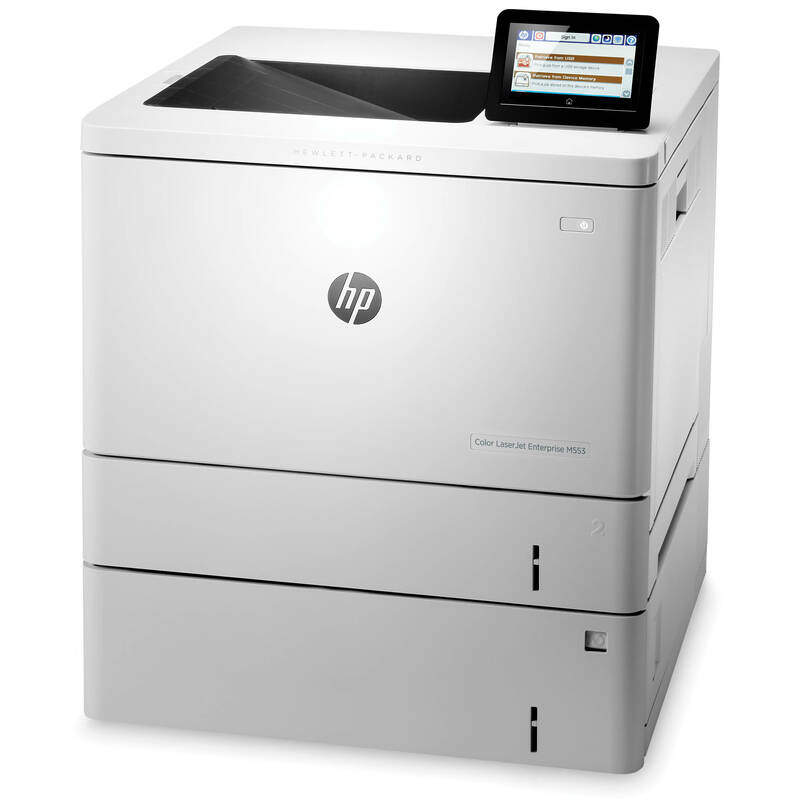 Does the HP LaserJet Enterprise M553x Color Laser Printer come with the ability to print using a WIFI network? The option I see on the site says that it has wifi built in. But checking with HP - they say you have to buy another accessory. I cant print in colour how do i set it up?